Three hits of news on the Forza 4 front today. First, Turn 10 Studios has revealed the official shot of the game box art. Second, they've announced that the "Hero car" for the game is the Ferrari 458 Italia. Third, they've announced the five preorder cars - along with "showroom" shots of each. I can't tell you more about this "showroom" function - or even if it'll be called that in the game - but I can say these are absolutely in-game renderings. 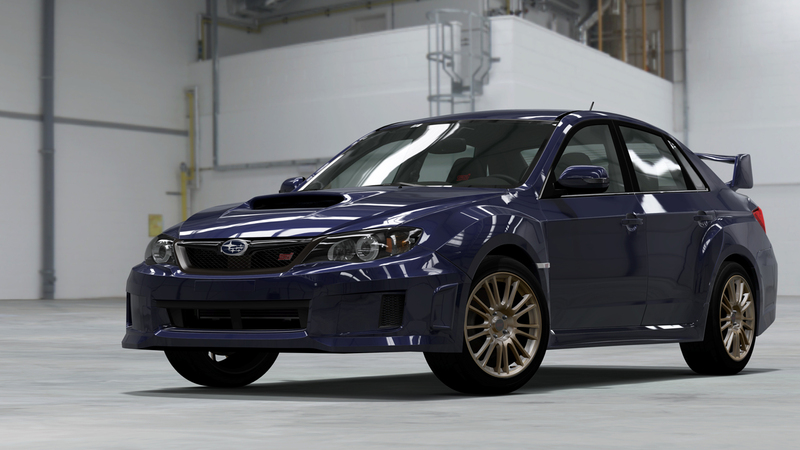 Amazon.com- Subaru Impreza WRX STI: The Subaru Impreza WRX STI is the highest standard-edition trim in the Subaru compact car line. The STI is recognised as a speed demon on race tracks, winning first place at Super GT in 2008. Best Buy- BMW 1 Series M Coupe: Reaching top speeds of 250km/h, the 1 Series M Coupe is the high-performance version of the famed BMW 1 Series Coupe. GameStop- Alfa Romeo Giulietta Quadrifoglio Verde: The creation of Italian automaker Alfa Romeo and first introduced at the March 2010 Geneva Motor Show, the Giulietta contains an exclusive Quadrifoglio Verde configuration with a 1.7-litre turbocharged engine that will steer you to victory. 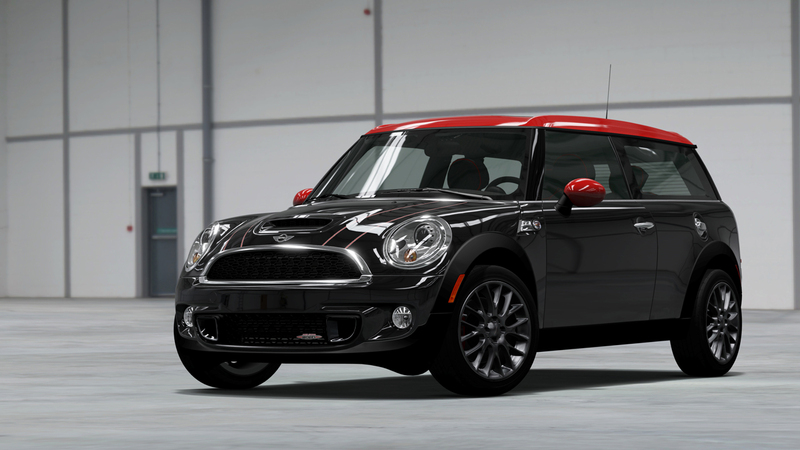 Wal-Mart- MINI John Cooper Works Clubman: MINI enthusiasts around the world rejoice! The JCW Clubman sports a 1.6-litre four-cylinder MINI engine that has been tuned and turbocharged to include 208 horsepower and 286kg/m of torque. Target - Honda CR-Z EX: The Honda CR-Z EX is Honda's sport hybrid with an ultra-modern and sporty look, featuring 16-inch wheels and tyres, low-to-the-ground stance and swooping bodywork. Additionally, its six-speed manual transmission makes it the only hybrid with three pedals. Renders look great - can't wait for this game. I've not played either, but I'm waiting for the F4 / GT5 arguments to start up all over the intertubes. Yet more exclusive garbage. Really over it. How's the Top-Gear stuff implemented this time? Hmmm, mini or bmw. Tough choice. Also, will it really be "better with kinnect" lol. so what about the drifting? s13 hatch and s14 kouki?